Talk about home improvement -- adding a screened-in porch is one of the easiest, fastest, and most affordable ways to add living space, value, and curb appeal to your home. Thanks to our Class A Virginia Contractor’s License and Residential Building code (RBC) designation, you’ll be hard-pressed to find a more qualified team than NOVA Landscape & Design to complete your screened-in porch project. You can count on us to address all permitting, liability, and structural concerns proactively. At NOVA, we go beyond the typical installation by adding screens underneath the porch to prevent bugs from entering between the floorboards. For homeowners who are interested, we also offer two flexible financing options with low, fixed interest rates and quick access to funds. Our average screened-porch project is completed within two weeks. Ready to get started? Request an estimate today! Planning to add a brand-new porch? Perfect. 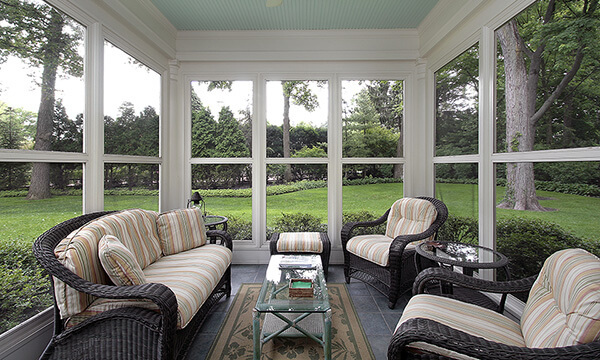 As a Class A Virginia Licensed Contractor, NOVA is fully qualified to design and build your new screened porch. Our collaborative design process, which includes architectural drawings and 3D designs, is tailored to deliver the porch of your dreams. The benefit of new construction, in addition to adding functional space to your home, is the ability to modernize your outdoor space. Using our screening system, you’ll get a low-maintenance screened-in porch that’s easy to repair and requires minimal posts. That means fewer obstructions to your beautiful view! Check out our Credentials and Testimonials pages to see why NOVA is so many Northern Virginia homeowners’ go-to contractor. 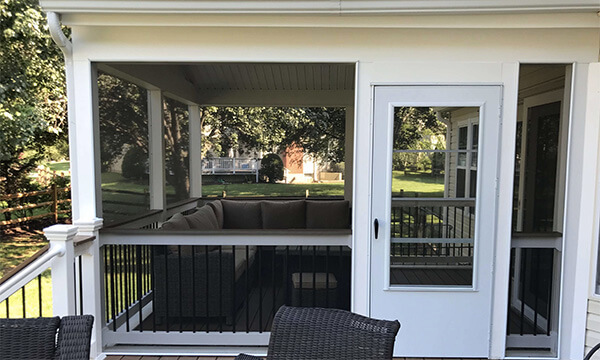 Installing a screened enclosure on your existing porch offers benefits you can enjoy immediately, as well as long-term value. Our modern screening system is high-performance and low maintenance, and it requires absolutely no additional construction. The durable screens, which are available in an incredible array of sizes, attach seamlessly to existing porches and can easily be removed. 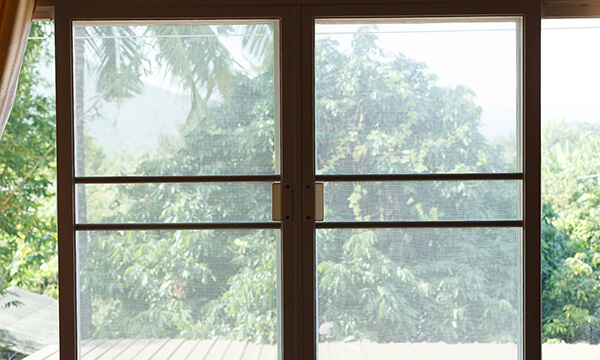 With a relatively quick and affordable project, you can start spending your outdoor time bug-free while still letting in natural light, fresh breezes, and the fragrance of spring flowers. A screened porch is the perfect place to entertain friends, share meals with your family, or escape with a warm drink. Here at NOVA, we're always committed to using stellar quality products. Our unique screening system is made in the USA and works equally well in existing structures as it does when implemented in new construction. With panel dimensions up to three times the size of other systems, we can eliminate posts or screen over existing ones. There are no staples, and the screens aren't structural. They're simply attached via flush or corner mount once the porch is in place. Our system also makes repair quick, easy, and affordable should one of your screens ever be damaged. You'll never have to replace a whole panel, let alone the whole system! And our team's work is covered by our 5-Year Labor Warranty on hardscape installations. Just submit your contact information, and a designer will be in contact with you within 48 hours to set up a time to meet. Based on your conversation, a design will be created for your project, along with a detailed estimate sheet. Please note that there may be a $20 consultation fee depending on the scope of work.